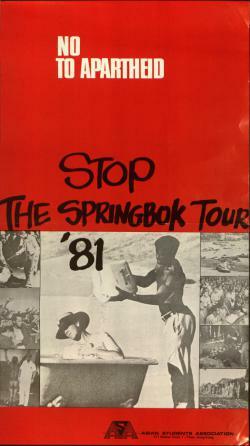 Poster protests a tour by the South African Springboks rugby team. Includes nine photographs of the dehumanization of apartheid, African resistance, and the violent response to it. Size: 11 x 19-1/2 inches.